How to install wordpress locally in windows ? Step 1: Download the wordpress. Extract it. Step 2: Open the lampp and start the mysql and apache web server. Lampp installed (If you are windows user then you may be knowing xampp, lampp is the alternate to xampp in ubuntu/linux). Paste the extracted wordpress to htdocs folder. password: no password (empty by default). This is the default one in the lampp localhost installed. 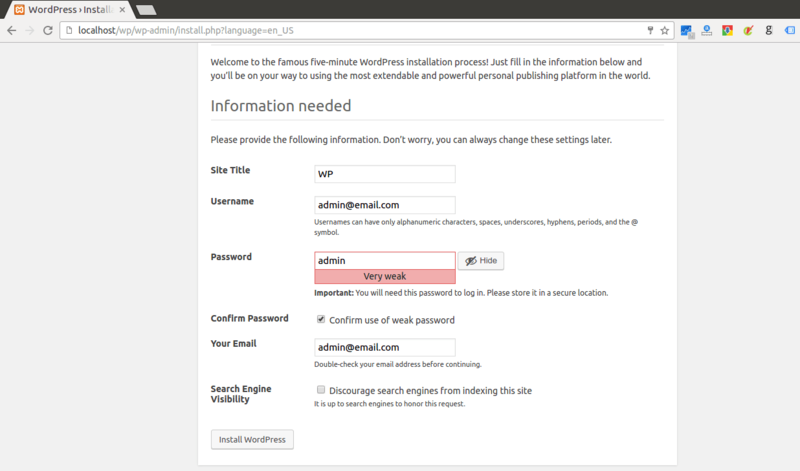 Sometime it will create the wordpress database if you run through it. If you get the above message then copy paste this wp-config.php file. Feel free to write your commands in the below command sections. Who can start a blog ?